Obituary for JoAnne Marie (Martin) Shultz | McIlvaine-Speakman Funeral Home LTD.
JoAnne Marie Shultz, 77, of Houston, died peacefully Thursday, April 5, 2018, in South Hills Rehabilitation and Wellness Center, with family by her side. She was born July 29, 1940, in Washington, a daughter of the late Edwin and Constance Schievenin Martin. Ms. Shultz was a 1958 Chartiers-Houston High School graduate where she was a lead majorette and a May Day Queen. 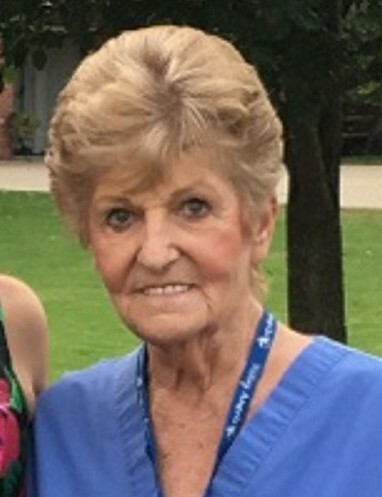 She had worked at the Meadows Racetrack as a cashier, WKRZ and WARO radio stations as the office manager, the Meadows Racetrack Chapel as an assistant, and as a home health aide with Visiting Angels where she would sit with the elderly and make their days a little brighter. Ms. Shultz was a member of the Meadows Racetrack Chapel. She enjoyed spending time with her family and dogs, Muffy and Jakey, going to the beach, sitting in the sun, and reading books. Surviving are: four children, Janine Skuse (Larry) of Houston, John Shultz (Kimberly) of Avella, James Shultz of Washington and Joy Kalafatis (Andrew) of Houston; ten grandchildren, Steven, Sarah and Sydney Skuse, Kraig (Allie) Shultz, Olivia Ohler, Meghan and Mason Shultz, Dylan Shultz-Terling, and Nicholas and Maria Kalafatis; and three great grandchildren, Trenton, Arya and Harper. Friends will be received from 2 to 8 pm Sunday in McIlvaine-Speakman Funeral Home Ltd., Robert K. McIlvaine, owner/supervisor, 27 Cherry Avenue, Houston, PA 15342, where services will be held at 10 a.m. on Monday, April 9, with Rev. Joseph DiDonato officiating. Interment is private.